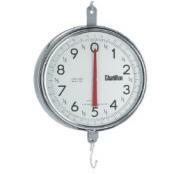 Chatillon Scales are known for their high quality hanging dial scales. Chatillon is a leading manufacturer and global supplier of precision digital and mechanical weighing scales providing weighing solutions for a host of applications and markets. 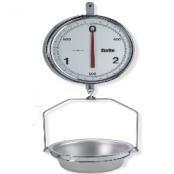 They offer a comprehensive range weighing products including handheld scales, hanging scales, tabletop and crane scales as well as portable beam and platform dial scales and accessories. The Chatillon weighing product offering from Central Carolina Scale is backed up by an impressive customer support program that includes technical support, factory service capabilities, calibration and more. 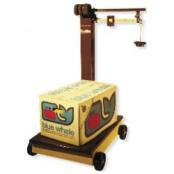 Chatillon weighing scales are the premier mechanical weighing scales in the world. Since 1835, customers have trusted their weighing to Chatillon weighing scales because of their quality, reliability, dependability and accuracy. Contact us today (919) 776-7737 for our product recommendation and a price quote. Chatillon 1300 Series Autopsy ScalesCHATILLON® 1300 Series mechanical hanging scales feature a large, 13-inch (330 mm) double dial with chrome-plated housing. Scales have large numerals and graduations for easy reading. Scale capacity is achieved in 3 dial revolutions. Dials are glass-covered with one dial reading clockwise and the other counter clockwise. The dials feature bold black numbers and graduations with a contrasting red pointer. 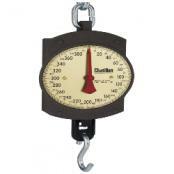 Chatillon BD Series Hanging ScalesThe CHATILLON BD Series hanging scales are designed for weighing large or small loads up to 400 lbs. Ideal for agriculture, warehouses, workshops or the home. 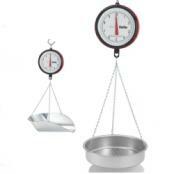 Scales are constructed with a heavy, protective cast-iron runner and housing with large, easy-to-read 7-inch dial. Large, bold black numbers and graduations. 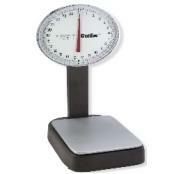 Scales feature a convenient zero adjustment screw. Scale is factory calibrated using certified NIST weights. Chatillon HB Portable Mechanical Beam Scale The CHATILLON HB-1000 Series portable platform scale features a rugged cast-iron construction with corrosion-resistant bearings, making it ideal for industrial plants, warehouses and terminals. 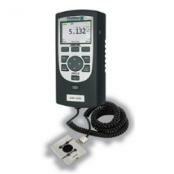 The HB-1000 meets the requirements for Handbook 44 Class lll and is suitable for "Legal for Trade" applications. Chatillon PB Series Platform Dial Mechanical ScalesThe CHATILLON BP15 Series bench platform scale features a large, easy-to-read 15-inch (380 mm) dial with knife-edge pointer for accurate measurements. BP13 Series bench platform scale features a large, easy-to-read 13-inch (330 mm) dial. Scales are supplied for H44 Class lll "Legal for Trade" applications.